With the advancements in technology, we’ve seen Robots & various types of Robotics equipment come to play a integral role in more and more industries. This has caused robotics and the technology behind it to grow into one of the fastest areas for development. 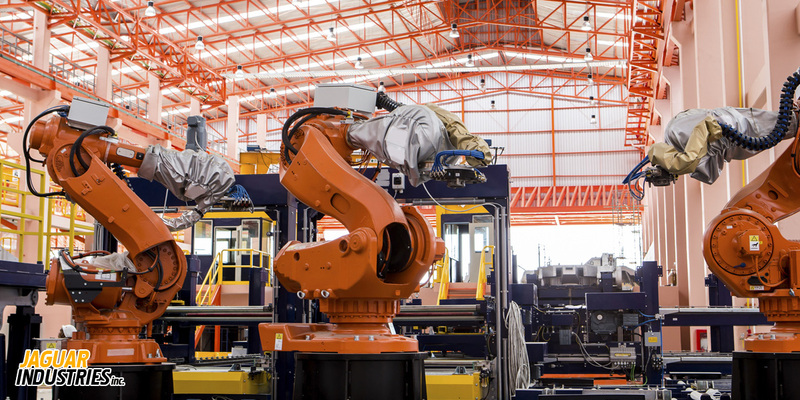 Jaguar Industries offers a variety of products that are crucial to robotics and we continue to meet the demands of our clients and their robotic operations. Our products are crucial to robotics no matter what industry as the cables, components and cable systems consistently operate in motion and are exposed to intense conditions. This is why it’s important to find products that are built for these specific conditions. With Jaguar Industries wire, cable and tubing products we offer reliable performance and enhanced manufacturing productivity which will help our clients throughout each step of the production process. We are here to help you find and identify the best products for your particular application. We invite you to call us or email us when you’re ready.